The contemporary Sky bath pillar taps, characterised by its curved sleek body and easy to operate smooth lever handles. Constructed from durable brass with a quality chrome plated finish. 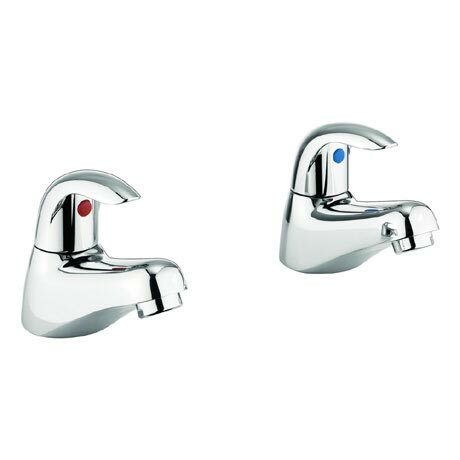 These taps also feature ceramic discs and are suitable for low pressure systems. Comes with a 5 year guarantee.